Sandy started her career by singing English and American folk ballads in folk clubs. She used to accompany herself on the six- and twelve string guitar. Expect uncomplicated folk ballads of the type that Joan Baez used to sing when she just started her career. 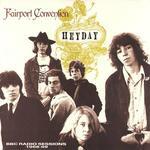 Sandy has been the lead singer of the British folk-rock band Fairport Convention for several years. This type of music bears some resemblance to American Bluegrass music, thanks to fiddler Dave Swarbrick. Apart from some quiet but really stunning acoustic ballads, expect a lot of heavy electric guitar work and drumming. Most of the music on her solo albums was written and composed by Sandy herself. Most songs are slow, sad ballads with piano and guitar backing. Her later solo albums were overproduced with lots of heavy orchestration. Some people would call Sandy's lyrics “mediocre drivel”. An opinion most definitely not shared by most Denny fans. Expect romantic, poetic lyrics and sad, slow, moody piano tunes. 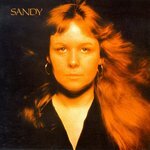 Below you will find a short description of Sandy's best known albums. Most albums are available on CD. You may have some difficulty finding them but you can always order them by mail. Click on “Album details” for production information. This is not a comprehensive discography. 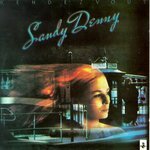 See Paul Hosken's Discography (up to 1995) or the Sandy Denny Discography (both on this website) or The Bee's Knees' Discography for more Sandy Denny recordings. 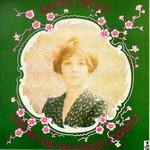 Her very first solo album ever, recorded in 1967. She accompanies herself on the guitar and sings mainly American folk songs. 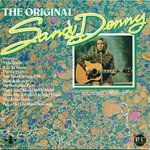 Sandy herself hated this album but most of her fans just love it because it's just Sandy by herself without any backing orchestration at all. A comprehensive CD reissue of the previous LP together with all her other 1967 recordings on the Saga label. 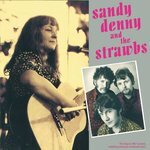 Before joining Fairport Convention, Sandy played with the British band “The Strawbs”. Its sound may remind you somewhat of the typical British sixties music of the Kinks / Lovin' Spoonful era. Sandy's young and still rather high-pitched voice combines very well with the music that The Strawbs were making at the time. 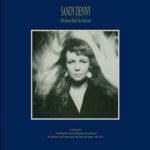 An album with some excellent quiet ballads by Sandy. Fairport was heavily influenced by their male singer Ian Matthews and their lead guitarist Richard Thompson. Excellent vocals by Sandy. A collection of 1968 BBC recordings. 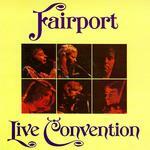 The early Fairport sounded more like a pop band than a folk band and they were mainly covering American songs. The sound is dominated by the voice of Ian Matthews, although Sandy's voice makes a fine impression. Ian Matthews had left the band so Sandy was taking over. 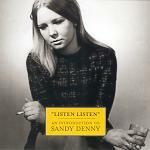 Some excellent quiet ballads by Sandy, as well as a few Bob Dylan covers. A real outstanding song is Autopsy, written by Sandy. Also included is Sandy's best-known song, Who Knows Where the Time Goes? 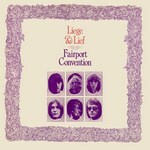 This is Fairport's most famous album so far. There are some excellent quiet ballads, as well as some heavy folkrock tracks. Sandy's singing on this album is really outstanding. Sandy's own band. It's different from her work with Fairport Convention. Some songs are romantic, quiet ballads but there is also a traditional folk song and a few tracks sung by the remarkable Australian Trevor Lucas. It's a mixture of folkrock, English traditional folk, and acoustic ballads written by Sandy. This is Sandy's first “official” solo album. There are some slow ballads, as well as some heavy folkrock songs. Excellent electric guitar work from English guitar wizard Richard Thompson. Contrary to her other solo albums, this one does not suffer from overproduction. Sandy sings a duet with Led Zeppelin's lead singer Robert Plant on The Battle of Evermore. It's a haunting folk-like song with mandolin backing only. Recommended for true fans. 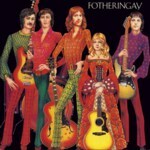 A collection of rock classics played by the Fairport / Fotheringay members. Sandy sings lead vocals on some tracks. Expect Buddy Holly / Everly Brothers type of rock. This is her second “official” solo album. This album is liked best by most people. Most songs are romantic ballads with a very positive feel to them. Beautiful melodic arrangements with fine guitar work from Richard Thompson and beautiful piano playing by Sandy. A CD with live recordings from the BBC, compiled by John Penhallow of the Australian Friends of Folk. 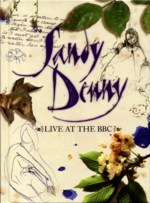 Due to legal disputes this is the rarest Sandy Denny album but it has been superseded in 2007 by the magnificient Sandy Denny: Live at the BBC 3 CD + DVD box set. Sandy's third “official” solo album. Most songs are slow, moody ballads with a strong sense of nostalgia. There are also two jazz songs. It's slow, mournful music. Fairport at their best. Heavy folk-rock, lots of heavy guitar work and drumming. Bluegrass-like fiddle work from fiddler Dave Swarbrick. Sandy sings lead vocals on some tracks and plays the piano. An excellent live album. 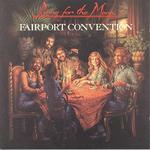 Sandy's last album with Fairport. Most tracks are moody ballads by Sandy. Her voice sounds sad and lonely and she plays the piano with excellence. Also included are a few tracks with outstanding vocals by Trevor Lucas. This is a really excellent album, a “must-have” for true fans. Sandy's fourth and final solo album. Most songs sound moody and somewhat despressing, although there are a few remarkable songs, like All Our Days which is more like a mini-symphony with very poetic lyrics. Also included are a Richard Thompson song and the well-known Bernie Taupin / Elton John song Candle in the Wind. 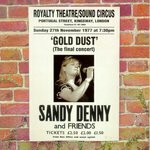 A CD with (remixed and overdubbed) live recordings from Sandy's final concert at the Royalty Theatre on November 27, 1977. 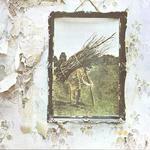 Most of the recordings in their original state are available on the Attic Tracks Vol. 4 cassette too (see below). 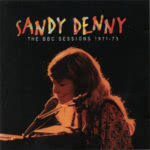 The first of the still growing cottage industry of Sandy Denny compilations, this is a CD with 16 tracks taken from her albums, solo, with Fairport Convention, and with Fotheringay. It will give you an excellent idea of what to expect of her other albums. 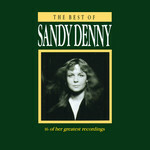 This is a 4 LP or 3 CD boxed set with a collection of Sandy's finest songs, including lots of previously unreleased songs, rarities, out-takes and live recordings. The CD box has a green cover instead of the blue one shown here. A cassette with previously unreleased recordings and live tracks of Sandy Denny and Trevor Lucas. 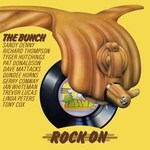 It is out of print but many tracks are available on the Attic Tracks CD shown below. This cassette is dedicated to the memory of Trevor Lucas; it has no tracks with Sandy. There are 17 live tracks, recorded in October 1984 during a concert in the Troubadour Cafe, Melbourne, Australia. There are 14 rare home demos and radio tracks from 1966-67, as well as Sandy's last concert recorded at the Royalty Theatre on November 27, 1977. 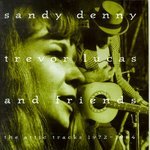 A total of 26 rare and previously unreleased Sandy and Trevor tracks. One side is dedicated to Trevor, the other side to Sandy. 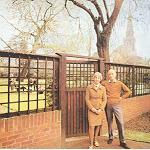 A CD with previously unreleased recordings and live tracks of Sandy Denny and Trevor Lucas. Its contents has been selected from the four “Attic Tracks” cassettes above. A CD compilation with 17 tracks taken from her four solo albums. If you aren't sure which album to try first, buy this CD. It will give you an excellent idea of what to expect of her other albums. 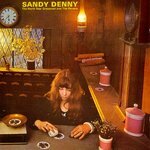 This is a 2CD compilation to accompany Clinton Heylin's biography No More Sad Refrains - The Life and Times of Sandy Denny . Besides the thorough overview of her albums - solo, with Fairport Convention and with Fotheringay - it has some rare tracks: one from the Liege and Lief recording sessions, two from the Pass of Arms soundtrack, and two demos of well known songs. All tracks are remixed and of great quality. This 4+1 CD box set with many rare and previously unreleases songs and an extensive, 56 page full color booklet is announced for October 2004 by Fledg'ling Records. A 3 CD + DVD set with all known surviving live recordings from the BBC, including three songs performed on the BBC TV show “One in Ten”. Excellent live work, a “must-have” item. The booklet contains lots of previously unknown pictures of Sandy. 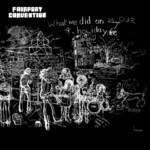 This is a video documentary about the history of Fairport Convention. There is only one poor quality black-and-white amateur recording of Sandy. Also included are interviews about her and a few pictures. 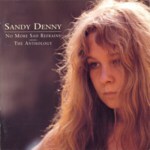 This is one of the very few video recordings of Sandy Denny. All other video recordings of Sandy seem to have been lost. Apart from Sandy, this tape will also give you lots of background information about Britain's greatest folkrock band ever.